There are many benefits to packing up your own belongings even when you hire a full service mover. It saves time which in turn saves you money, ensures that items are packed the way you want them packed, and allows you to organize your items by room and/or category. There are packing strategies to ensure safe and efficient packing that aren’t always the most obvious. Here are some helpful tips to get you started. Before you start throwing your home into boxes, make sure you have all the supplies you need to get you through the packing stage of your move. Packing peanuts– for insulation and to fill empty spaces in under packed boxes. 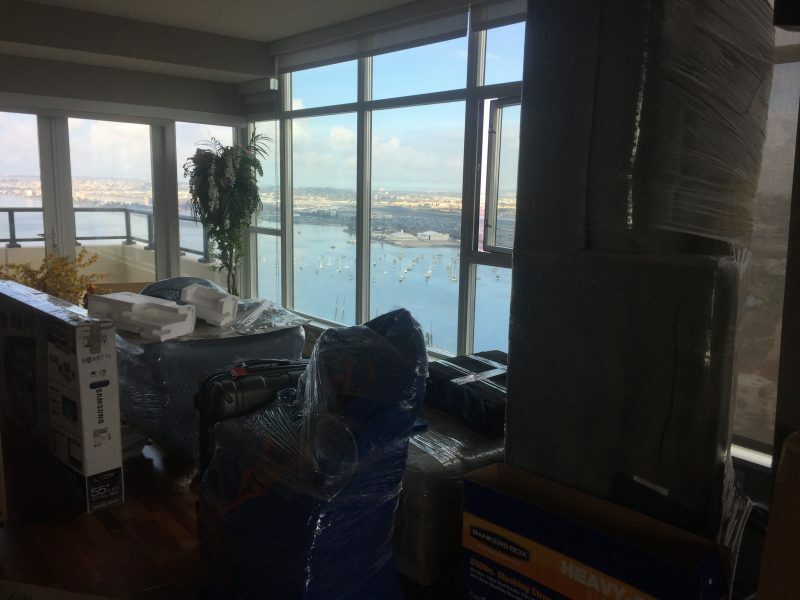 Hiring a Mover in San Diego? Boxes are under packed– these boxes collapse with the risk of crushing your belongings. Many movers won’t move loosely packed boxes. Leave no empty spaces in your boxes. Use packing peanuts or paper to insulate boxes and protect your belongings. Put your suitcases to work for you. Pack dishes on their sides, never flat. This will allow you to fill the box more efficiently and limits damage or breakage of dishes during the move. Avoid packing with old boxes. Old boxes are susceptible to breaking thus increasing the chance of damaging your items. Unless furniture does not break down drawers are often not sturdy enough to survive a move unemptied. Furniture left unemptied can become unbalanced and may fall over damaging your furniture or putting your mover at risk. If furniture can break down, do it. Not only does it save space on the truck, breaking down furniture protects it from damage during the move. Keep everything together– screws and hardware in baggies and all pieces should be bundled together with packing plastic or tape. Boxes Packed But Still Need a Mover? Clearly label boxes with room/destination and a non-detailed list of contents that makes sense to you. Number your boxes and create a list of its contents for yourself. If a box is lost or forgotten you will know right away, and know exactly what is in the box.